There are approximately 130,000 conventional oil and gas wells drilled in Pennsylvania (PASDA, 2018). Conventional wells are defined as traditional vertical wells. Active and abandoned oil and gas wells exist in 55 of Pennsylvania’s 67 counties with the majority of activity occurring western portion of the Commonwealth. Over 40 percent of existing oil and gas wells are located in only four counties—McKean, Warren, Indiana, and Venango. These four counties have more than 9,000 wells each within their political boundaries totaling over 55,000 oil and gas wells combined. As is the case with all-natural resource extraction, a variety of potential hazards exist with oil and gas extraction. Abandoned oil and gas wells that are not properly plugged can contaminate groundwater and consequently domestic drinking water wells. Surface waters and soil are sometimes polluted by brine, a salty wastewater product of oil and gas well drilling, and from oil spills occurring at the drilling site or from a pipeline breach. This can degrade public drinking water supplies and be particularly detrimental to vegetation and aquatic animals. Methane can leak into domestic drinking wells and pose fire and explosion hazards. 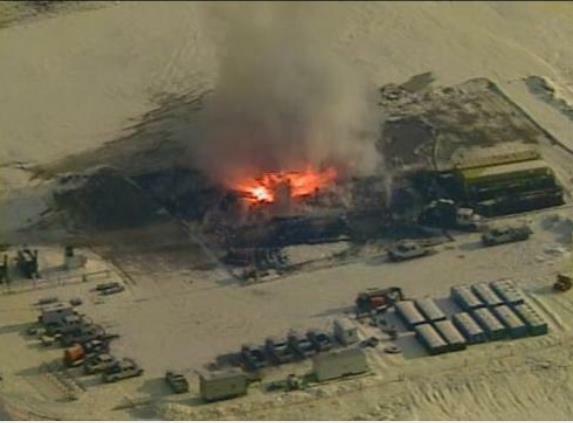 In addition, natural gas well fires can occur when natural gas is ignited at the well site. No comprehensive list of oil and gas related incidents exist for the Commonwealth, but conventional oil and gas well incidents are more common northwestern Pennsylvania counties. The hazards associated with each incident vary widely and encompass damages including serious injury, explosion, fire and water contamination. Conventional Oil and Gas Well Locations in Pennsylvania (PA DEP, 2018).